The Isle of Wight Festival will return in 2019 and today the first wave of musical acts have been announced. In line with the news, it has been revealed that the first batch of tickets go on sale at 9am Fri 25 Jan.
2019 marks the 50th year of the festival which started with a capacity of 10,000 that has transformed to 72,000. The festival will run from Thu 13-Sun 16 Jun at Seaclose Park, Newport. The Scottish artists announced today are Biffy Clyro (headlining Sunday evening), Gerry Cinnamon and KT Tunstall. 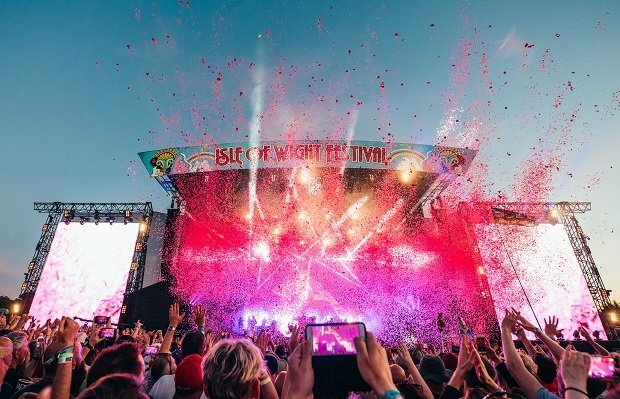 Over the years Isle of Wight Festival has seen a whole host of legendary acts perform including the Rolling Stones, Bon Jovi, Fleetwood Mac, David Bowie, Kasabian, Amy Winehouse, Kings of Leon, Jay-Z, The Strokes and many more. Isle of Wight Festival runs from Thu 13-Sun 16 Jun 2019. Day and weekend tickets are available from 9am on Fri 25 Jan.